Despite having best practice guidelines in place, new research from ESET and Kingston Digital has revealed that 70 percent of organizations are failing to take the necessary steps to secure their business. To compile their research, the two firms surveyed over 500 British business leaders to better understand how they are protecting their companies from cyber threats. ESET and Kingston found that there is a significant disconnect between the IT teams that put best practice guidelines in place, procurement teams that provide business equipment and employees that are intended to follow the plan. The research highlighted the fact that a staggering 44 percent of businesses admitted to not securing removable devices using antivirus software which leaves their IT systems exposed to cybersecurity risk and high fines from GDPR and other regulations. 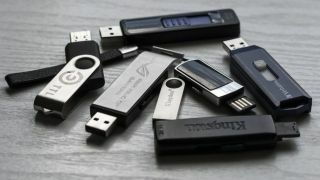 By making just a small investment into encrypted USB flash drives, organizations can better protect their infrastructure and even possibly their reputations.